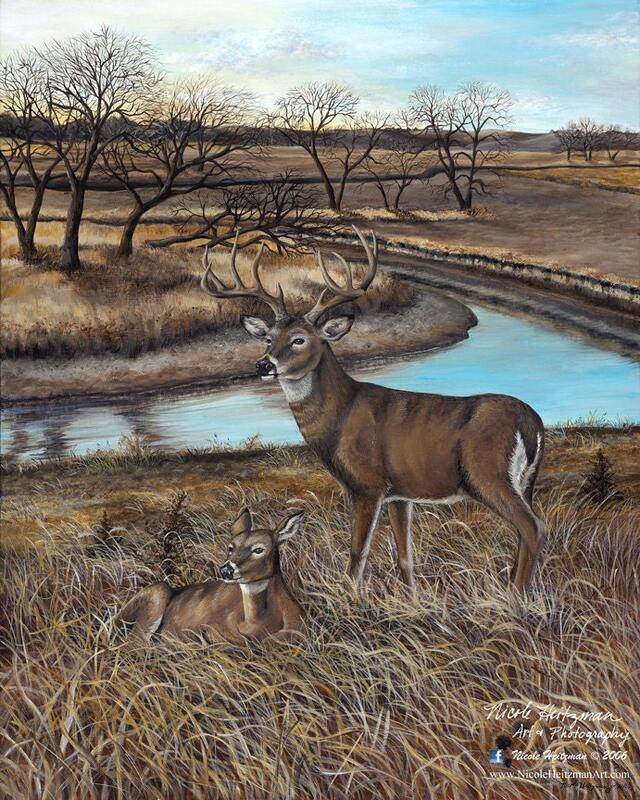 Artist, Nicole Heitzman, painted this white-tailed deer scene from inspirations of hunting and exploring Eastern South Dakota. It is titled "At the River's Edge". The image itself is 16" wide by 20" high and is a Limited Edition Canvas Giclee print. There are 400 prints in the edition. Price shown is for the canvas print only. Color on screen may vary from actual print. 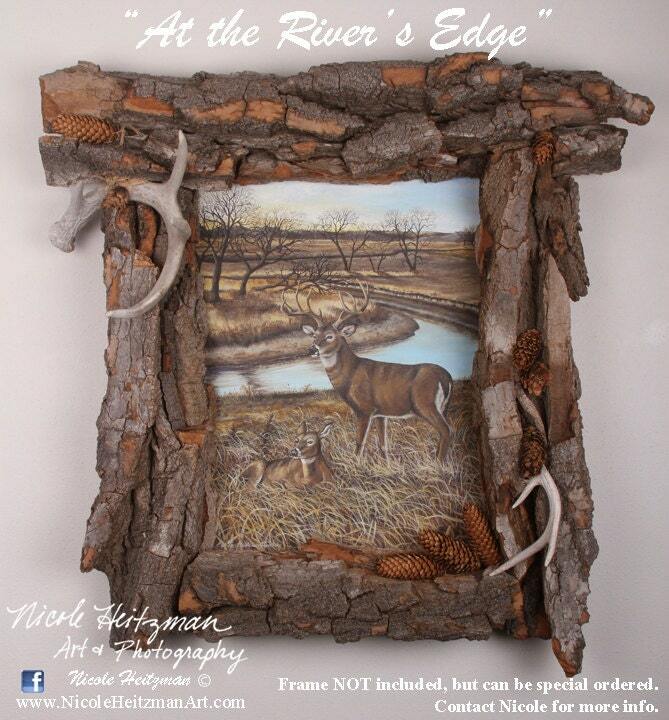 To follow more of Nicole's artwork and photography go to her Facebook page under Nicole Heitzman Art & Photography.